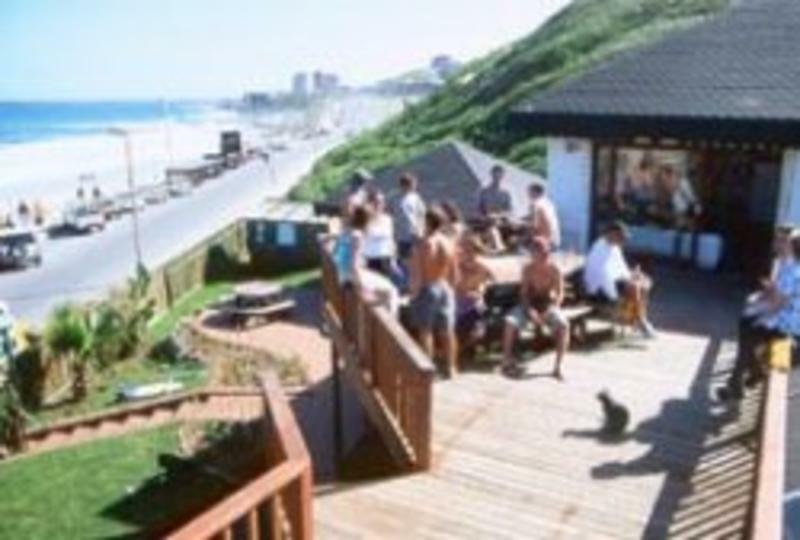 Sugarshack Backpackers is nestled in the sand dunes of Eastern beach in East London, yet only spitting distance from the energetic nightlife. East London is a vibrant coastal city with stunning beaches, amazing natural beauty and all the necessary amenities close at hand. Being relatively small, East London is probably South Africa's safest city, allowing guests to explore with ease. 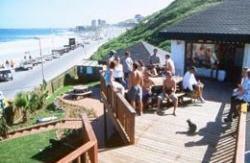 Having arguably the best location of any backpacker in South Africa, less than 10 meters from the beach. Watch the dolphins and whales a mere splash away, from the kitchen or our whale-watching platform on a daily basis. Not being on the international tourist route, East London offers a wide range of activities at 'un-inflated' prices, frequently a fraction of that paid throughout the rest of South Africa. East London is renowned for it's excellent surfing conditions; Eastern beach probably receives the most consistent swell in South Africa. There is a wide selection of surf spots, ranging from 'easy beach breaks' ideal for a beginner to world-class point breaks like the famous 'Nahoon Reef'. East London offers Museums, Art Gallery's, Station, Airport, Tourist & Information Bureau, Hospitals, and easy access to Banks, Shopping Malls, Movie Houses, Restaurants, Pubs etc. Young fellow backpackers and surfers Andre, Dan & David are there to welcome and entertain you at the Sugar Shack. David and Andre are both ex - professional surfers (Dan tries, but is pretty crap) who go surfing everyday and will take you to the best surf spots in the area. David is an experienced international surfing coach who gives free lessons. Dan offers loads of interesting and entertaining day trips. The daily activities include sandboarding R60,watersk-ing R95 and the favourite is a horseback ride through a gamepark where you will ride metres away from rhino, giraffe, buffalo and other wild game for only R130. Loads of other exciting trips on offer. If you have had a enough of the coast, head up to 'Away with the Fairies' in 'Hogsback'. Surrounded by wild mountain forests, beautiful streams and waterfalls you will be revitalized and relaxed enough to take on the rest of Africa. 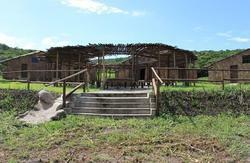 Between Sugarshack and Hogsback you will discover the complete SUNSHINE COAST EXPERIENCE. 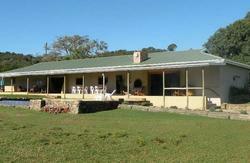 Having arguably the best location of any backpacker in South Africa, less than 10 meters from the beach.